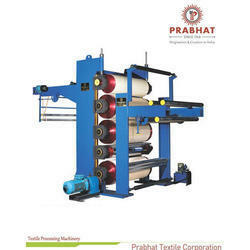 Prominent & Leading Manufacturer from Ahmedabad, we offer paper calendering machine, embossing calendering machine, fabric calendering machine, friction calendering machine, super calendering machine and jute calendering machine. 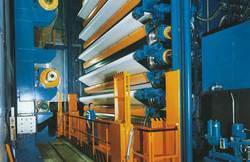 Quality being the sole concern, we offer world class range of Paper Calendering Machine. Our entire product range is manufactured using quality assured raw material and latest technologies. They are sturdy in construction and are durable in nature. Moreover, we offer them in varied technical specifications. Due to reliability and high-grade quality, these products are widely in demand amongst our customers in the market. These products are available in market at competitive rates. Banking on our vast industrial experience in the industry, we offer an exceptional range of Embossing Calendering Machine. Our entire product range is abrasion resistant in nature and is used in varied industrial and commercial sectors. 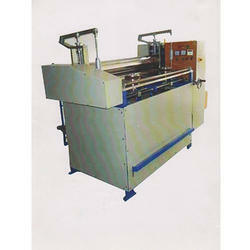 Embossing Calender Machine ensures noiseless operations. Further, these type of mechanisms can be added with electronics to ensure guarantee calendering process control by assembling and automatically adjusting all production specifications. We avail this product to our client in a very nominal price rates. We are engaged in offering a high quality range of Fabric Calendering Machine to the customers in varied ranges and specifications. Calender Machine offered by us are designed to handle various sheets for hospital beds, firms and friction of type fabrics for bicycle/auto tyres/motor cycles, single coating, cushion gum and many more. Along with this, the offered range is available in different customized specifications in accordance with the diverse requirements of esteemed clients. In series of delivering an extensive range of Friction Calendering Machine that are fabricated using quality assured raw components and advanced technologies. Calenders are made in a wide range of sizes, from small laboratory unit to the big production machines. They are furnished with two, three, four or more rolls and with rolls in different arrangements. They are abrasion resistant in nature and ensure seamless finishing. Friction Calendering Machine is dimensionally accurate in nature. We are pondered to be a reliable manufacturer and supplier of Super Calendering Machine, which is used is mostly used in textile industries in finishing of different kinds of cloth like cotton, synthetic, rayan and staples. High-end technology and quality approved components are used to design and manufacture the machine by following standards and norms set by industry. Acknowledged for less maintenance, sturdy construction, high energy efficiency and longer working life, this Super Calendering Machine can be availed in varied technical specifications at moderate prices. 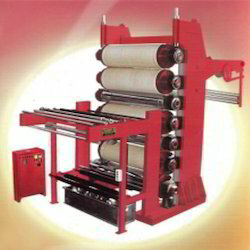 Being pioneer in the industry our Calender Machine is one of the leading name in Jute Calendering Machine in the market and can be custom availed according to the needs of the customers. Our entire product line is acclaimed among the clients for high quality, durable standards and seamless finishing. Offered product line is quality approved and is in adherence with set industrial standards. 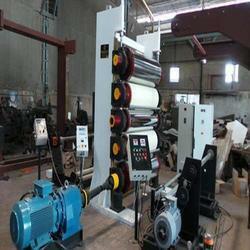 We are dedicated towards offer technologically advanced Hosiery Calendering Machine to our valued clients. 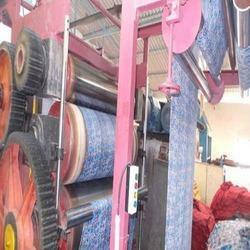 This machine is widely used in textile industries for varied applications. At our advanced machining unit, this is designed and developed under the guidance of professionals with the use of high-end component and progressive technology. 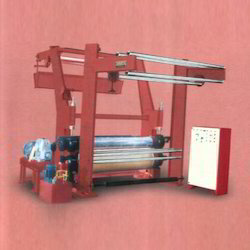 Looking for Calendering Machine ?